can provide you with the perfect slice thickness. 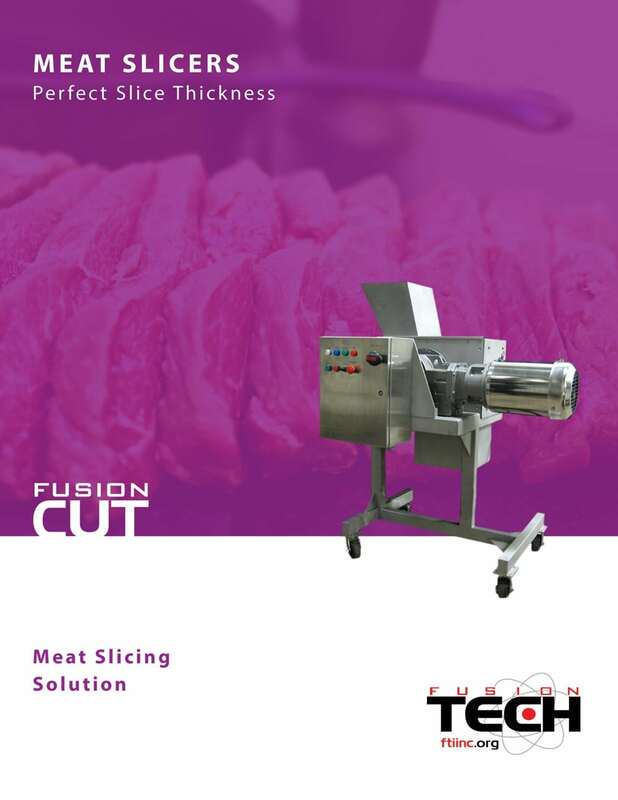 Fusion Tech offers a line of meat slicers that produce perfect slice thickness for fresh and tempered product (32F – 40F), eliminating the need for an extra process to defrost product. Our Slicers Catalog will show you how a Fusion Tech Industrial Slicer will benefit your processing operation.